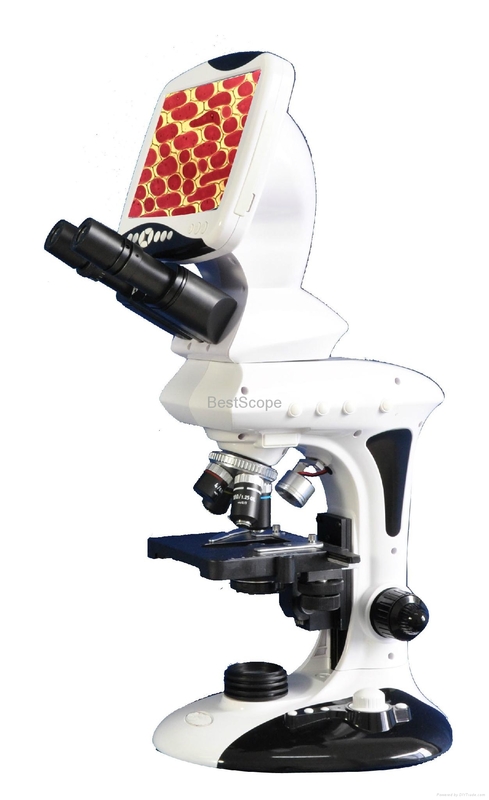 Hot sale BLM-240 Series digital LCD biological microscopes have integrated digital camera and an HD LCD screen on the microscope. Users can observe from both eyepiece and LCD screen. These microscopes make the observation more comfortable and resolves the fatigue caused by using a traditional microscope. 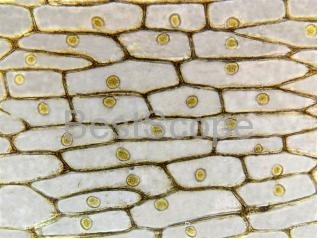 The microscopes can take pictures, videos and save on the SD card. They also can be connected to other LCD monitor or projector via HDMI interface. 1. Built-in digital camera up to 12.0MP, video up to 1080P/30fps. 2. 9-inch HD digital LCD screen with broad visible angle, easy for people to share. 3. Observation from binocular eyepiece and LCD screen at the same time. 4. Images and videos can be saved in SD card(4G SD card is standard), it can be expanded to 32G. 5. LED illumination with 50,000 hours life span. 6. HDMI video output, can be connected to other LCD monitor or projector. 7. Cross-hair can assist for measurement. 8. 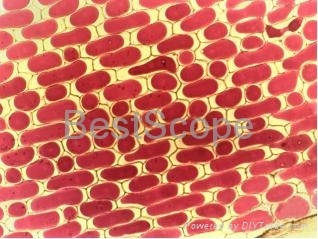 BLM-240C can work as a biological and stereo microscope. BLM-240 series LCD digital microscopes are mainly used in middle schools, medical colleges and universities for education, they also can be used in clinics, hospitals, laboratories and related institutes for diagnosis, scientific demonstration and research.